In the pre-whelping ultrasound, we could actually see one puppy "swimming" for all he was worth toward the exit. He was the first whelped, the first out of the whelping box, the first out of the playpen, and always had a look of Great Expectation on his face and an air of Joire de Vivre about his spirit. He has never changed! ​Still charging ahead, with a Bold "Hail Fellow Well Met" attitude, it's no wonder his successes have been many. 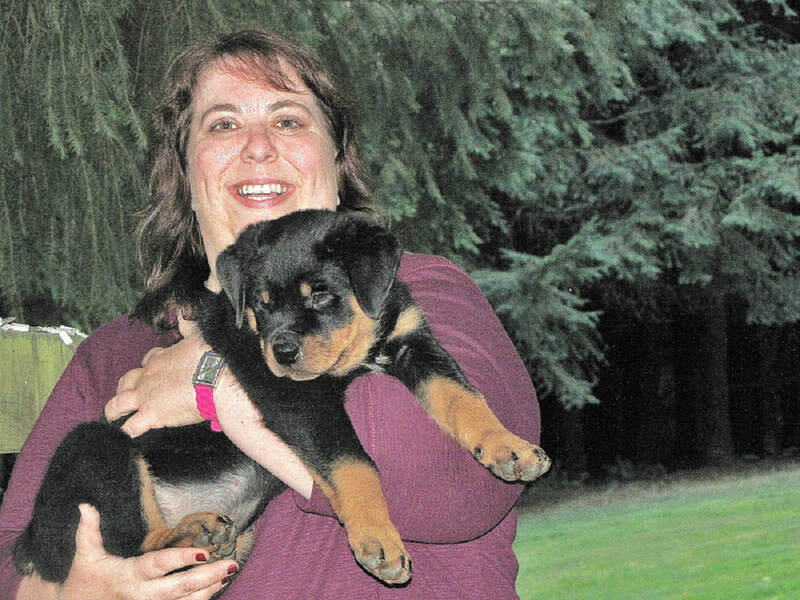 Blue's personality was perfectly matched to his owner, Patti Wicks, who has offered him the opportunity to FLY! ​We have been thrilled with Blue's success! 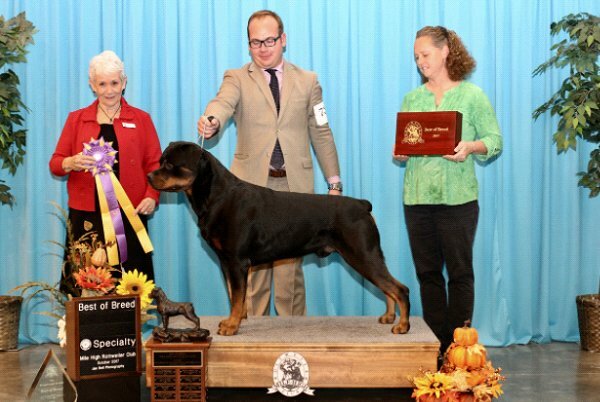 Finishing his AKC Championship with his beloved handler, Ryan Dillman, and finished his UKC Championship owner-handled! He took some time off to grow up, then started his Specials career with a bang . 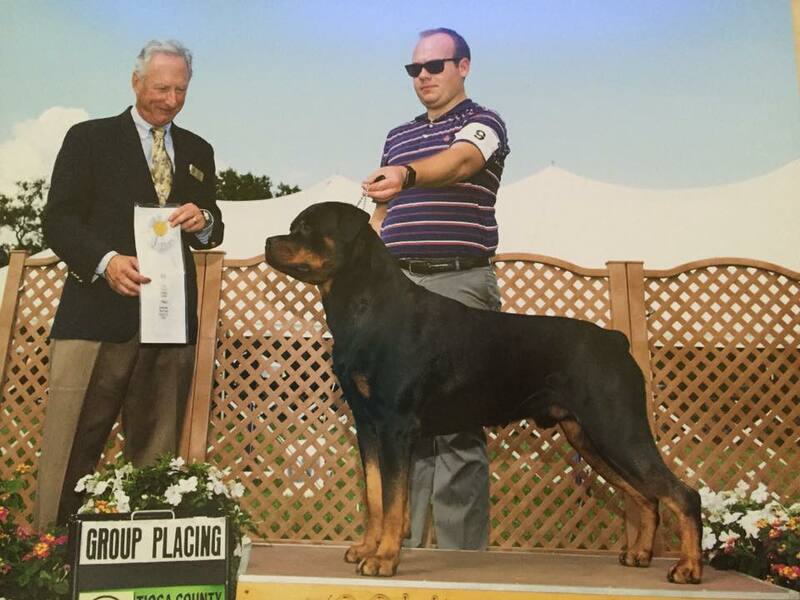 . . Winning and AOM at the 2015 Medallion Rottweiler Club Specialty! 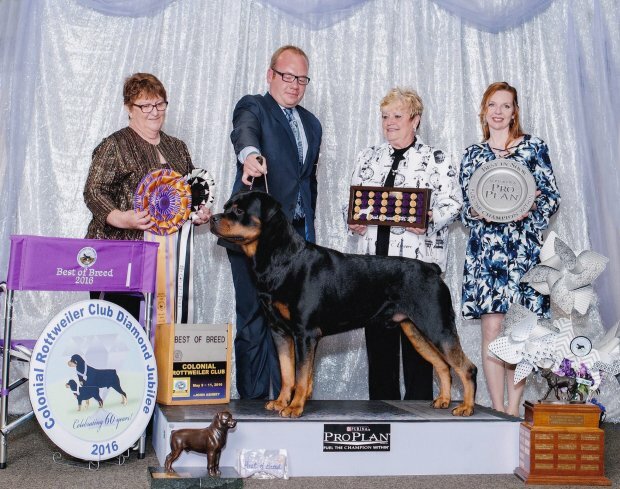 ​Blue went on to win the 2016 Colonial Rottweiler Club Specialty! 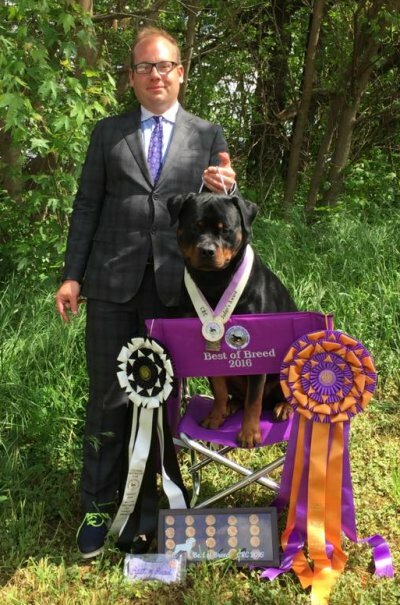 ​2017 Mile High Rottweiler Club Specialty! Blue also has multiple Group Placings. He finished in the ARC Top 20 For Both 2016 and 2017. 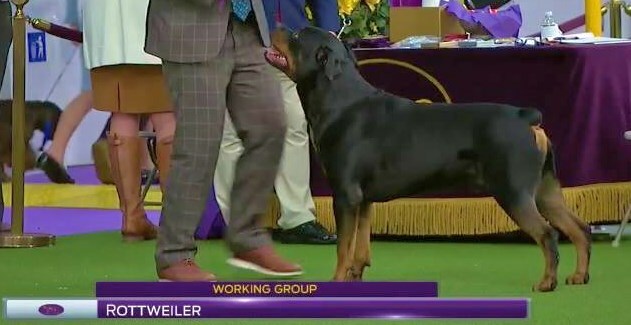 ​2018 Westminster Kennel Club Show. 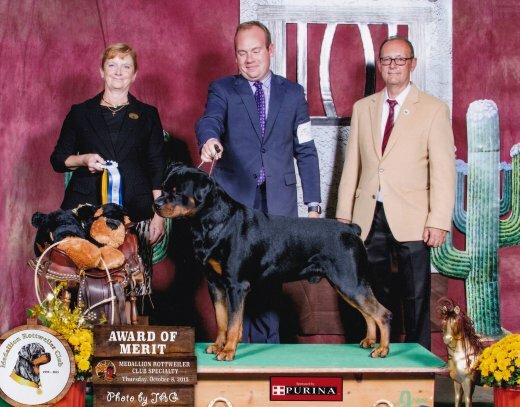 ​Such a thrill watching "our baby boy" showing at the 2017 Westminster Kennel Club Show. Thanks to Patti for helping to make this dream come true for us! and the relationship he's engendered with Blue! Patti doesn't like to be apart from her boy for too long. ​They have things they need to do together!